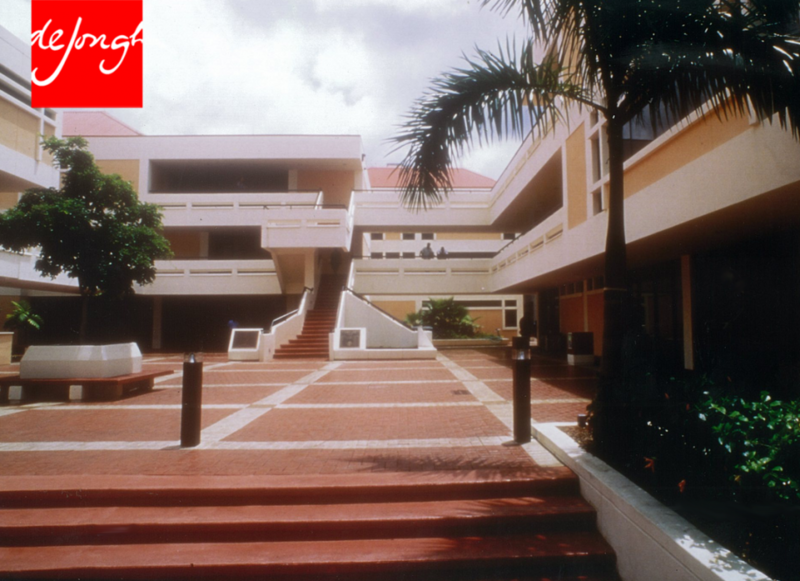 Originally designed to house the VI Police, Department of Law and the VI Territorial Courts, the Complex was the first major commission designed by THE DEJONGH GROUP. 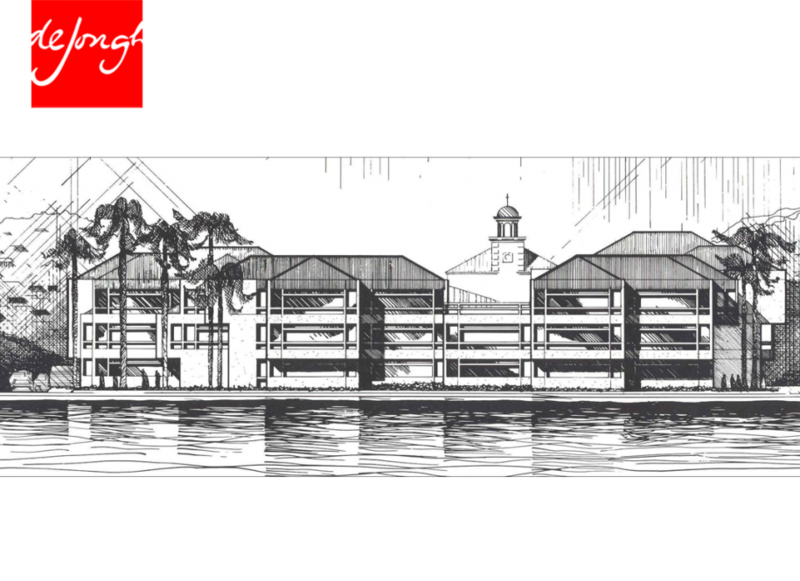 Organized around a central courtyard with a separation in the hipped roofs, giving each building a sense of its own identity. Allows the vista of the Steeple of the Moravian Church, illuminated at night and adjacent to the North, to be seen from the Harbor. 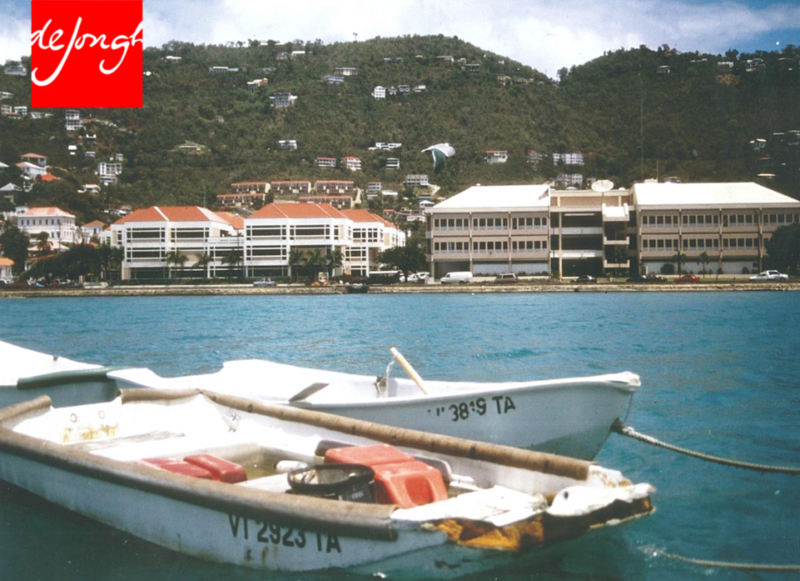 Designed to transition between the larger adjacent U.S. Federal Building and the much smaller scale of the existing vernacular buildings of Charlotte Amalie Town to the North and West. 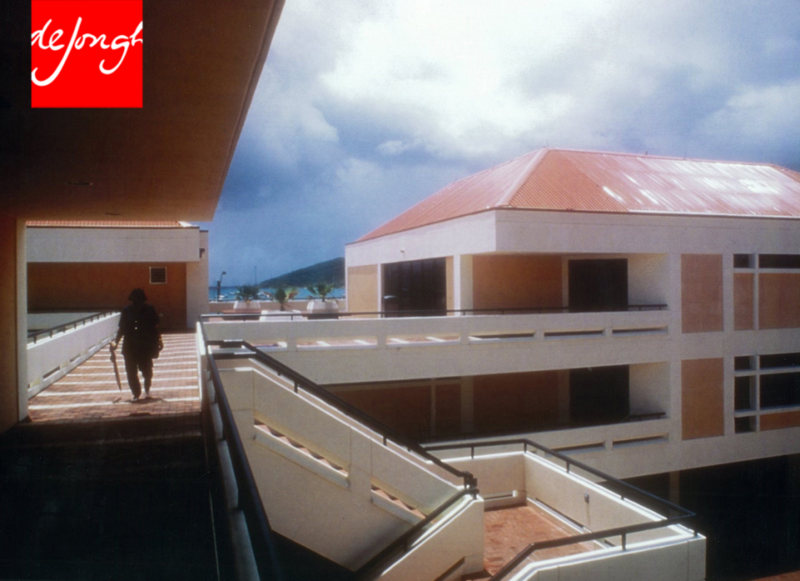 Constructed in three discrete phases with DEJONGH providing full architectural services for each. Territorial Court buildings: Engineered by Williams, Russell and Johnson of Atlanta, Georgia.